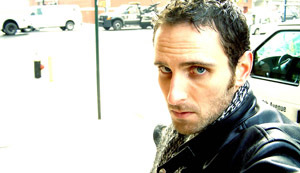 Sean Murphy was born in Nashua, NH in the fall of 1980. He got interested in comics in grade school and spent many afternoons of his childhood drawing instead of making friends. His formal education started in Salem, NH as an apprentice to Leslie Swank, local painter, cartoonist and WWII vet. After graduating Pinkerton Academy high school in 1999 he attended Massachusetts College of Art (Boston) and then the Savannah College of Art and Design. Before graduation, Sean was already working with such publishers as Dark Horse on their Star Wars titles. After getting his BFA, he moved out to Hollywood to pursue concept art for video games and film making while paying the bills with additional titles like Star Trek, Teen Titans, and Batman/Scarecrow: Year One. His first creator owned book “Off Road” was released by Oni in 2005 and won an American Library Association award. Soon after, Sean signed an exclusive contract with DC Comics and moved to New York. 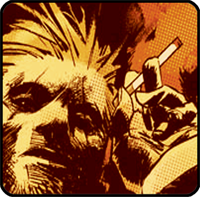 His DC published work is what he’s most known for currently–Hellblazer: City of Angels, Joe the Barbarian and American Vampire: Survival of the Fittest helped boost his career greatly. His latest book for DC/Vertigo, and creator owned mini series called “Punk Rock Jesus”, in stores now. Sean lives in Brooklyn with his wife Colleen, and their two dogs, Red and Bebop.